Holders of a PhD Degree in Finance and Accounting with three years teaching experience as a Lecturer or Senior Lecturer. In addition to the above qualifications, the candidate must show exceptional Teaching, Research and Consultancy abilities and must have published at least three vetted papers. Possession of CPA will be an added advantage. Holders of a PhD Degree in Marketing and Entrepreneurship with three years teaching experience as a Lecturer or Senior Lecturer. In addition to the above qualifications, the candidate must show exceptional Teaching, Research and Consultancy abilities and must have published at least three vetted papers. 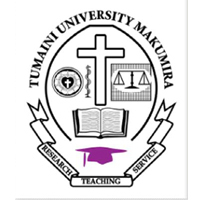 Holders of a PhD Degree in Economics with three years teaching experience as a Lecturer or Senior Lecturer. In addition to the above qualifications, the candidate must show exceptional Teaching, Research and Consultancy abilities and must have published at least three vetted papers. Holders of a PhD Degree in Human Resources Management with three years teaching experience as a Lecturer or Senior Lecturer. In addition to the above qualifications, the candidate must show exceptional Teaching, Research and Consultancy abilities and must have published at least three vetted papers.  Successful candidates will be offered attractive packages commensurate with qualifications and experiences. (ii) Only candidate with a minimum of 3.7GPA or Upper Second Class for the First degree and a minimum of 4.0 GPA for a master’s degree will be contacted. (iii) Applicants who have already submitted their applications need not to reapply.Only shortlisted applicants will be contacted. (iv) All applications should be sent to the address below not later than 06th September 2018. Plot no. 10 Mikocheni Light Industrial Area.